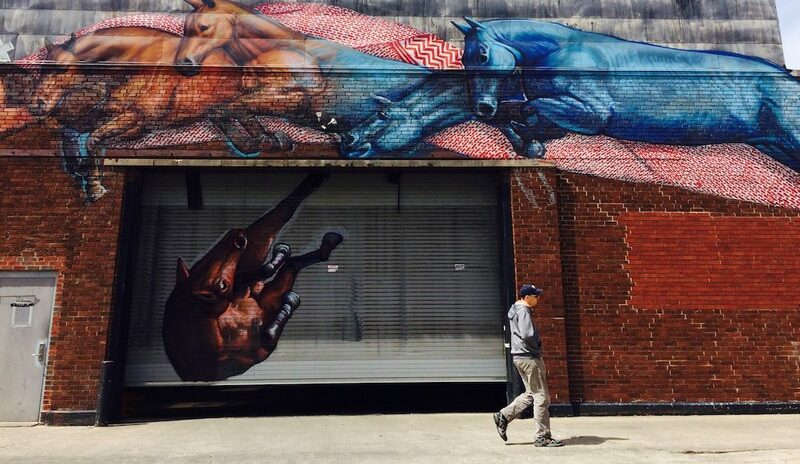 Lexington, Kentucky may be best known for bourbon and betting on the horses, but it’s fast gaining a reputation as a magnate for some of the world’s most talented street artists. PRHBTN, which hosts an annual mural festival, is transforming this hip Southern city into one super-sized, graffiti-covered canvas. You’ll find a map of their locations here. Or, just kick back in your armchair and scroll through a gallery of some of my favourites. Make tracks to see Gaia’s mural on the side of West Sixth Brewing, featuring horses…of course. 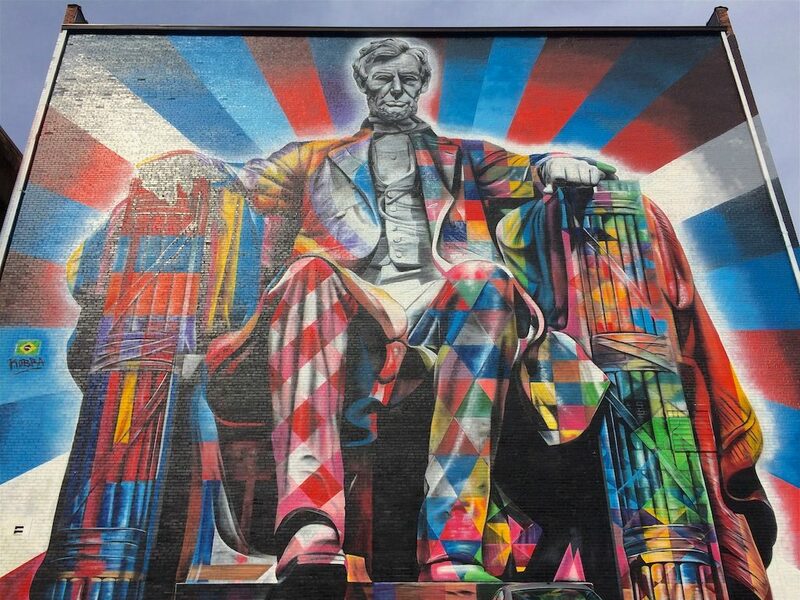 Eduardo Kobra’s larger-than-life Abe Lincoln is depicted in all his psychedelic glory on the back wall of the Kentucky Theater. Amy Laughinghouse, February 18, 2018. No Comments on Lexington, Kentucky’s Coolest Street Art. Category: City Break, North America, United States. Tagged: graffiti, Kentucky, Lexington, mural, Street art, street murals, travel. "Search" and "Categories" menu will help you find destinations featured in my blog posts. Browse my "Published Articles" links for stories about more of my favourite destinations around the world. All photos and posts ©Amy Laughinghouse unless otherwise noted. Thanks for your visit! London Cocktail Week…or Zombie Apocalypse? Ever Wondered How You Would React in an Airline Emergency? Now I Know. Cheese-Rolling Competition in Gloucestershire, England. That’s just crackers! Unexpected Pairings for the Palate: G&C, anyone? Need a bigger boat? P&O’s Got You Covered with Cool Britannia. One Sweet Ride: Forget flat tires. Just hold onto your (Boa) Thong. Glitzy Gstaad: Swish Swiss ski resort not just for celebrities.